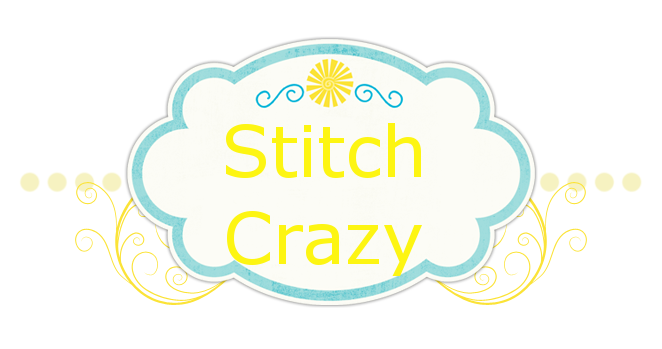 Stitch Crazy: Wowsers, it’s been a while! Wowsers, it’s been a while! I didn’t realize it has been so long since I posted!! I’ve kept thinking about it, but just haven’t sat down to really DO it. So much has happened. First off, let’s give some progress pics of Lord’s Prayer…. It fits, it fits!! Yay!! I’m so happpy!! The last pic is the halfway mark on it!! I’m finally settled in and ready to get to stitching on it again. Then I got to go to Dallas for 4 days to see my mommy. OMG, I had so much fun. It was sooooo relaxing and fun. I started teaching her to cross stitch. What’s funny is that when I got there, my suitcase with the broken leg fell over on my foot. Oh boy did that hurt and start to bruise up. The next day, I rammed a toe into this metal thing against a curb. Then the next day I rammed my pinky toe into the foot of my mom’s bed. ALL ON THE SAME DARN FOOT! That foot sure did hurt and it kept getting worse. Finally after being home for 3 days I took myself to the er. An xray showed that the suitcase had originally hairline fractured the foot, but the weeks worth of walking on it caused it to actually break. 4-6 weeks OFF the foot. Then after being home for a few hours, totally bummed, the radiologist called back to inform me 2 other bones were fractured. Dag nab it. James brought me home a boot yesterday and said I should be able to walk with it, so I walked with the boot yesterday. When he got home he royally chewed me out, guess he changed his mind. And I am paying for it let me tell you. My foot kept me up most of the night and has done nothing but throb and throb. I can't get crutches yet, so I’m having to use Ty’s. He’s 6 foot, I’m 5 foot 5. His arm rest hit right below my shoulders, so I have to put my hands on the hand thingys, but not under my arm pits. Oh my lord, that puts a huge strain on your arms and back. And it’s not stable. I am so sore. I have also found you can not successfully carry a cup of coffee, a soda or anything else while using crutches. And I have many very narrow doors in my house. This 4 weeks is going to go VERY SLOW!! On the other front, I’ve decided to try my hand at container flower gardening this year. And I’m starting off at seeds. I planted my seeds yesterday in little greenhouses yesterday, so we’ll see how this goes Hopefully it will go well and I will get SOME flowers, unfortunately I picked many seeds that don’t bloom for a year. Yep, I really don’t know much about flowers. So I will be going back to the nursery for more! Our Father is beautiful! Glad you had a great time with your mom - it was a well deserved break but to bad about your foot. Hope you can find a home for the dog; It would be a shame to have to put down. The Lord's Prayer really looks beautiful! I'm so sorry about all the bad luck with your foot. I hope you heal up soon. Good luck with the dog. That is going to be so beautiful when you're finished! I do hope you find a home for the dog, she looks like a sweet little thing. If you have to rest your foot, at least you have more time to stitch, right?! Take care of yourself, hope you get your own crutches soon. Lovely stitching. Good luck with the dog and your gardening. Take care with your foot, hope it heals quickly. Hi Shanda. Wondering if you can't adjust those crutches. Give it a try. I know they can be so uncomfortable. Your Lord's prayer is looking lovely. Love the colors and your stitching is beautiful. You stay off that foot as much as you can, and remember that elevating that foot so it's above your heart will help that throbbing. A recliner is great for that. Just mend quickly. Has anyone seen my memory…mind…whatever?